I always thought that the Alvin and the Chipmunks movie franchise ended with the third movie. It turns out it has another one coming our way. Don't get me wrong, I just thought that movies usually are trilogies, solos or a very long franchise and this one fell on the first category. I enjoyed watching the first three movies and I thought the story closed up with the last one... And yet here we are with a fourth one! 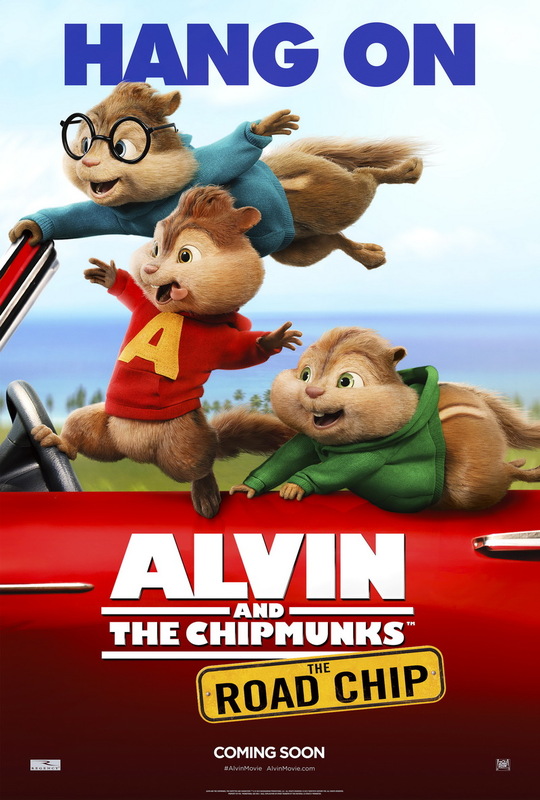 This rodent group will come back with Alvin and the Chipmunks: The Road Chip and if you are ready for an adventure go ahead and watch its latest trailer complete with laughs, misadventures, new family members, and adorable `munks! Watch the new trailer of Alvin and the Chipmunks: The Road Chip. Alvin and the Chipmunks: The Road Chip will hit cinemas on December 18, 2015.